While I'm doing keto I don't think it hurts to ask you guys for help too! Hope you can help me. Here's my reddit thread. Please read some of the replies for additional information. At the time as I'm posting this thread on this forum people have told me it looks like ringworm. But are they supposed to disappear the same day? And appear in random spots the next? I'm not new to keto rashes, just this kind of rash! Read bottom. I have doctor's appointment this week, just gathering more info here while I have the chance. PPS I'm personally thinking this is all Candida, but it's a self-diagnose which I know is bad, but my doctors have not done any tests (it's been a month, or a year, depending on how you look at it), just looked with their eyes and given me creams that does not help). 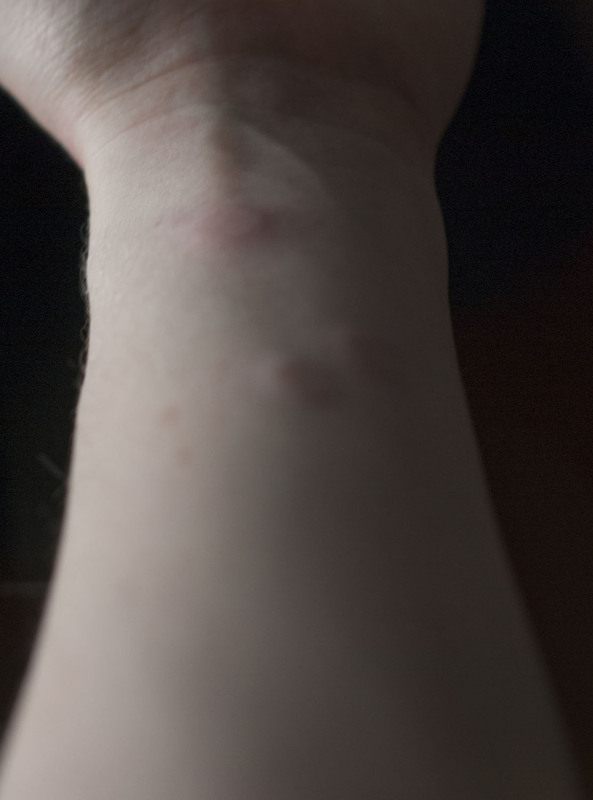 Woke up with these reef-like volcano craters on my arms (three on my back but can't reach with camera), I've woken with single tiny ones the past 2 weeks or so thinking it's nothing but today they had a get-together it seems! These don't itch or hurt at all (but worth mentioning I've woken up twice with itching arms, but not today, maybe I slept through it). Anti-histamine has no effect. They always appear in the wee hours of the morning and fade during the day, leaving discolored spots which lasts a day or two. I'm thinking it's another phase of Candida die-off but who knows :P haven't been tested properly yet. Physical background: Jan 2013 (a year ago) I tried Keto for the first time, went fine until I got keto rash, starting on my chest, then appeared behind my ears and my scalp. I also got hives all over my body (which we this january found out to be egg white allergy). Doctors were then clueless (and I too). Had to quit keto. Worth mentioning is that I went on a long hike (over a week) last July (2013) and the scalp rash blew up. I was not on keto but I burned fat like no tomorrow. Luckily I had brought medicine/creams which killed the pain at least. The rash went away just a few days after we got home. Now in January I got back on keto again and powered through the rash (3-4 weeks of *hell*), it's almost completely faded on chest and behind ears (flares up with 10 ish small spots after workouts sweating lots) but steadily declining and does not bother me. Scalp is another issue, I've been given steroid creams which doesn't help and they haven't done any spot tests. They have suspected Impetigo but they, like I said, haven't done any tests yet. Swedish healthcare in all glory but boy do they have long waiting times. I'm not exactly prioritized. aaand yes this morning I called hospital tried to get to see a skin doctor asap, but I have to see my MD first who will refer me to them. And I can't see him today. Any advice which I then can inform my doctor about (who, by the way, had no clue what LCHF / keto was and wanted to test my food allergies on carb foods when I was going through the rash this january, makes me suspect he doesn't know keto is the CURE for Candida) would be greatly appreciated! Sorry for the wall of text. Ringworm is a very common but less severe fungal skin infection. Ringworm is not really caused by a worm. That was a mistake by ancient physicians who thought the circular pattern was really a worm deep down in the tissue. Classified scientifically as Tinea Corporis the infection appears as ring shaped worm on all skin regions accept the soles of your feet, palms of your hands, nails, and groin. Looks a lot like ringworm to me. Go see a doctor, they can take a culture and test it and then give you some antifungals if that's what it is. Hint. 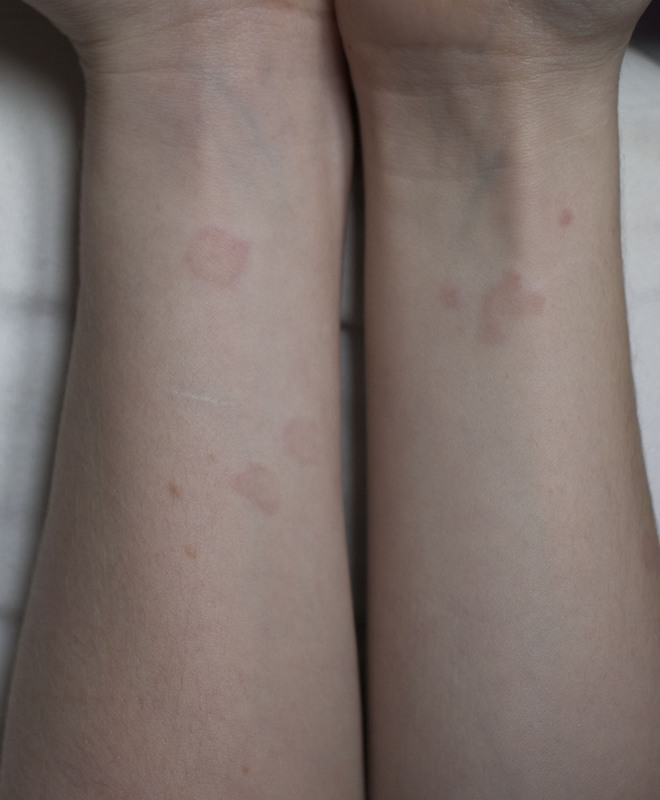 If you go to http://images.google.com and search for ringworm, you'll see very similar pictures.